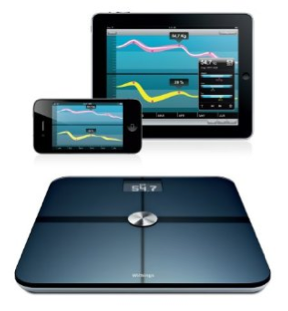 It’s a good idea to weigh yourself regularly and adjust your diet to account for small losses or gains in weight. But for some reason I can’t help thinking it’s a bad idea to have your scale report your weight to the Internet, where Google will probably add it to the file of everything you’ve ever searched, your entire email archive, the list of everyone’s house you’ve ever Street Viewed, and all the videos you’ve ever watched on YouTube. If you buy one of these and you start seeing Google Ads that say “Weigh 181.4 lbs? Here’s a diet plan that’s good for you” or “Is your body fat between 20.4% and 20.9%? Try this cracker” then you know why.